Your Foodservice partner for great food made easy. We put your unique needs first. Customization, versatility, multiple operations, low prep, nutrition-forward and on-trend. Convenient, value-added products, low prep, unique and on-trend. Multiple dayparts, multiple operations, low prep, diverse customer base and nutrition-forward. Grab-n-Go products, multiple dayparts, high value, on-trend, single-serve. Convenient, low prep, family friendly, popular favorites, high value, multiple operations. Serve Products that fit your operation. The pizza possibilities are endless. From sheeted dough to fully topped pizzas, our broad range of pizza solutions satisfy patrons and offer convenience and variety to operators. Satisfy their hunger with great tasting Asian appetizers they crave. With minimal prep and delicious sauces and fried rice, you can turn an entrée into a complete meal that's trending way up. Giving patrons the treats they long for is easy. With popular co-branded offerings to simple ingredients and handmade crusts, we have the desserts to sweeten your menu. Don't toss your pizza. Elevate it. 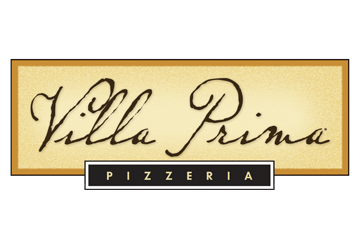 With Villa Prima® Pizza, you can deliver the scratch-quality pizza experience today's patrons expect. Our three unique platforms allow you to serve pizzeria-quality pizza with unlimited creative possibilities while keeping it simple in the kitchen. Expand customization and creative possibilities with pre-proofed crusts that are ready to top and bake on demand for a fresh baked pizza experience. Get the ultimate pizza jumpstart with scratch-quality crusts partially topped with sauce made from vine-ripened tomatoes and 100% real cheese. Allowing you to just customize away. Freezer-to-oven convenience has never tasted so good. Available in rising crust or par-baked, you'll deliver a consistent, fresh-baked pizza experience every time. When you try new qualifying Schwan's Food Service items on your menu. *Rebate is good for a maximum of $375 (up to 3 free cases, 1 free case per SKU) on Eligible Products. Limited time offer July 1 - December 31, 2018. 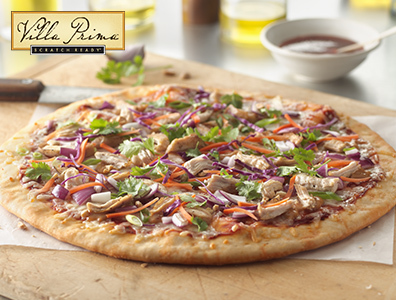 Buy 5 cases of Villa Prima® Scratch Ready®16" Thin Crust Partially Topped Pizza. Get 2 free pans. At least one item must be a new purchase to qualify. Limited time offer January 1 - June 30, 2018. Give your patrons the variety they crave with inspiring ideas that allow you to take their favorite dishes to new heights. Give your operation a culinary advantage with the latest menu ideas and resources that help you maximize opportunity and drive growth. 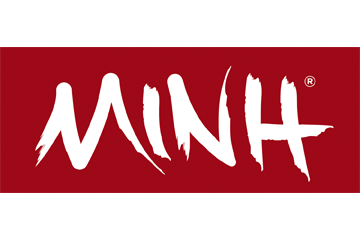 Sign up to recieve notifications on special promotions, menu ideas and more. Your sign up has been processed. Not a foodservice operator? We've got you covered. Our iconic yellow truck delivers great foods right to your front door. © 2019	Schwan's Food Service, Inc. All Rights Reserved.